I’ve been rocking the Apple Watch for about a week now and i’ve never felt more trendy. This is the must have item in wearable technology, however, i’m giving it up. The Apple Watch can send and receive calls, respond to text messages and even works as an iPod (with bluetooth headphones). The battery life is excellent for my use, but for those who want to wear the watch while they sleep, you’ll need to find an hour or 2 to charge everyday. 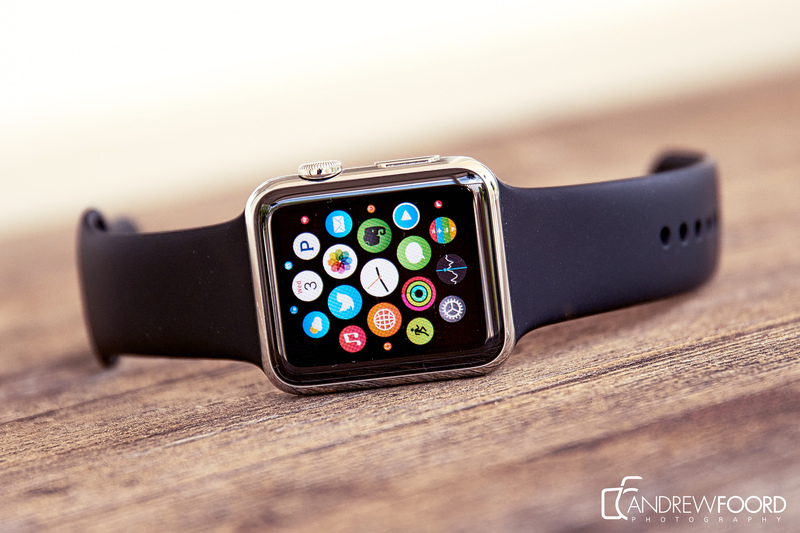 The Apple Watch is very easy to use and after a few minutes you’ll be customising your watch in no time. I’m getting rid of it because it does TOO much! If Apple made a watch that in addition to displaying the time and date, simply made and received calls i’d be happy, but Apple added features like text messaging, fitness tracking and siri. And I want MORE!!! I’ve become conditioned to want and need MORE!!! I want the watch to be independent of the iPhone, I want Apple to include a bluetooth headset. I want Safari and Youtube and Facebook, oh my! Wifi and Google and Laser Beams… As you can see I want more. Apple Watch is awesome! But I want more… It’s the way of the world now a days. Instead of focusing on what it does, i’m constantly thinking of what it doesn’t do. I wish the iWatch simply displayed time and could send and receive calls. But knowing that it can do SO MUCH MORE… I want that… I want it to do more. This entry was posted in Uncategorized and tagged Adobe Photoshop, andrewfoordphotography, apple, apple watch, applications, apps, art, Arts and Entertainment, awesome, clock, entertainment, Headphones, iphone, iwatch, jewelry, lens, lighting, nikon, Photograph, photographer, technology, watch.